These necklaces would be a hit with any ballerina (or aspiring ballerina)! Today's deal is 70 percent off ballerina necklace sets from Girl Nation. These normally retail for $144, but today you can get a set of two for $43, no code needed. 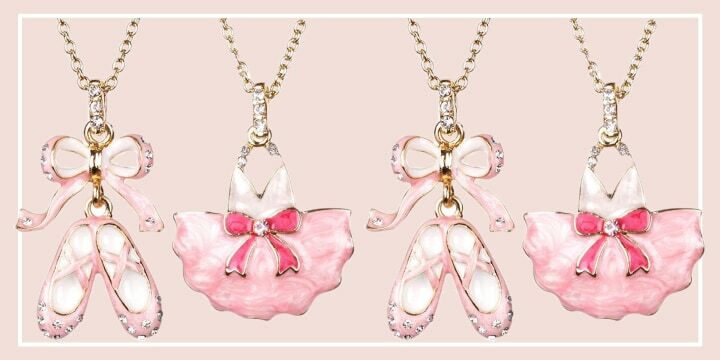 The site is also having a huge sale on single ballerina necklaces and ballet shoe earrings! Any aspiring ballerina will love these 14-karat gold plated, hypoallergenic, crystal adorned ballerina necklaces. They make the perfect recital or birthday gift!